This is one of my favorite recipes. Even though I’m a health coach, that doesn’t mean I still don’t have those ridiculous cravings from my past life. And some days it’s just so damn hard not to just give in. With this recipe, the taste buds are very satisfied and my health is still in check. I’ve also been trying to get more protein in and yogurt is the perfect ingredients for it. The best part is, no one will know this is a “clean” version. Last year, I brought it to work and everyone inhaled them. Even the one who eats fast food for every meal. If that’s not proof these are good, I don’t know what is! Preheat oven to 350 degrees. Line a 12-cup pan with foil cupcake liners, or spray muffin tin with non-stick cooking spray. Set aside. In a blender (or food processor), mix all the ingredients together, except for the chocolate chips. Blend until oats are ground and mixture is smooth. Place mixture in a bowl and gently stir in 1/2 of the chocolate chips (set the rest aside). Scoop mixture into prepared muffin pans. Place muffin tins in the oven for 10 minutes. After 10 minutes, remove muffins from the oven (but don’t shut oven off), and distribute the other half of the chocolate chips on top of each muffin. Place the muffins back into the oven and bake for an additional 2-5 minutes, or until a toothpick comes out clean. 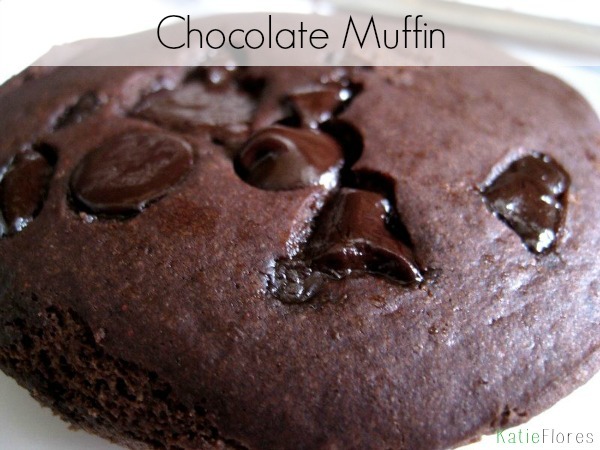 *You could skip this step by putting all of the chips in the batter, and baking the muffins for 12-15 minutes straight, but this method gives the muffins the traditional “VitaTop Muffin” look with the chocolate chips on top.